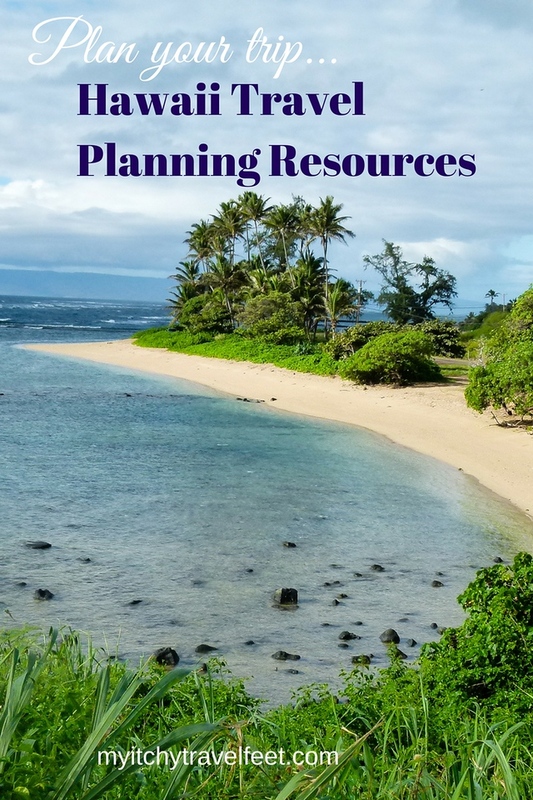 Handpicked Hawaii Travel Planning Resources for your next trip to the islands! Updated: 01.30.2018. With so much to do in Hawaii, planning a trip can be a bit daunting. Full of exotic landscape and extensive coastlines, luxurious fun in the sun is a must. However, there are also endless opportunities for active boomer travel adventures as well. To help you plan your next Hawaiian adventure, take a look at a few resources we recommended for a great trip! And come back often as we continue to update and verify our Hawaii Travel Planning Resources for you so bookmark this page. Or subscribe to the My Itchy Travel Feet Weekly Broadcast so you’ll be the first to know! Who wants to enjoy this slice of tropical beach? Our Hawaii Travel Planning resources will take you there! Whether you’re planning a Hawaiian land adventure or researching cruise excursions in Hawaii, online travel resources equal instant information at your fingertips. But we’ve found that too much information complicates research rather than speeding it up. That’s why we’ve whittled it down to the best online Hawaii Travel Planning Resources. 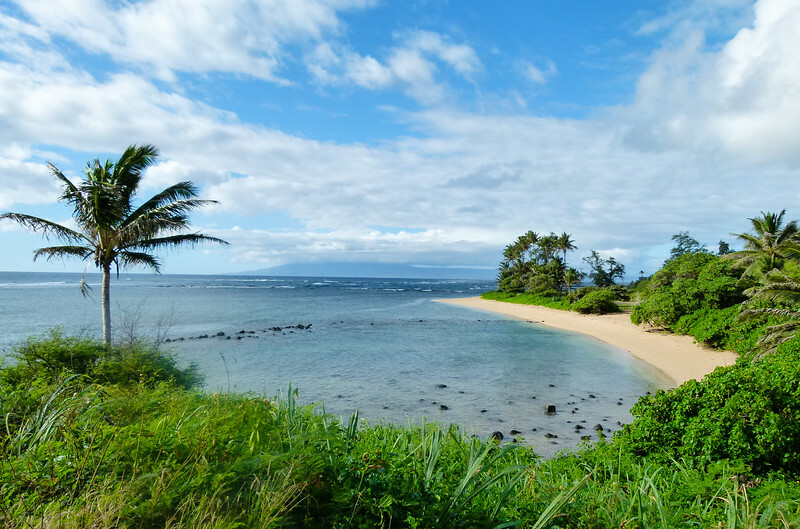 Bookmark our favorites for your next trip to Maui, Hawaii, Oahu, Kaui, Lanai or Molokai. We’ve also included our favorite Hawaiian travel apps. The My Itchy Travel Feet Hawaii Travel Planning Guide – Read first-person travel articles, learn about the best travel apps for Hawaii or enjoy visual inspiration on our Hawaii Pinterest Boards. The My Itchy Travel Feet Hawaii Travel Planning Guide is your free, one-stop resource for researching a trip to Hawaii. Go Hawaii – As the official State of Hawaii tourism site, you’ll be able to find a ton of useful info such as accommodation suggestions, restaurants, sightseeing musts, and local events. The site breaks down travel ideas into themes such as foodies, outdoor adventures, romance seekers and more. There’s even a page for first-timers to Hawaii. Cruise Excursions in Hawaii – We’ve cruised through the Hawaiian Islands on many of our South Pacific Cruises. Our collection of first-person Hawaiian cruise articles continues to grow, so check back often. Of course these Hawaiian travel ideas make great land adventures, too. Six Spectacular Hawaiian Road Trips – Get those motors running with this great guide to road tripping through Hawaii’s most stunning landscapes. These scenic drives make a great break from relaxing on the beach. Boomer Travel – Hawaii – Are you on Pinterest? Find tons of visual inspiration on our Boomer Travel in Hawaii Pinterest Board. Our curated Hawaii travel pins link to actual articles. Be sure to pin them to your Pinterest vacation or Hawaii travel boards. 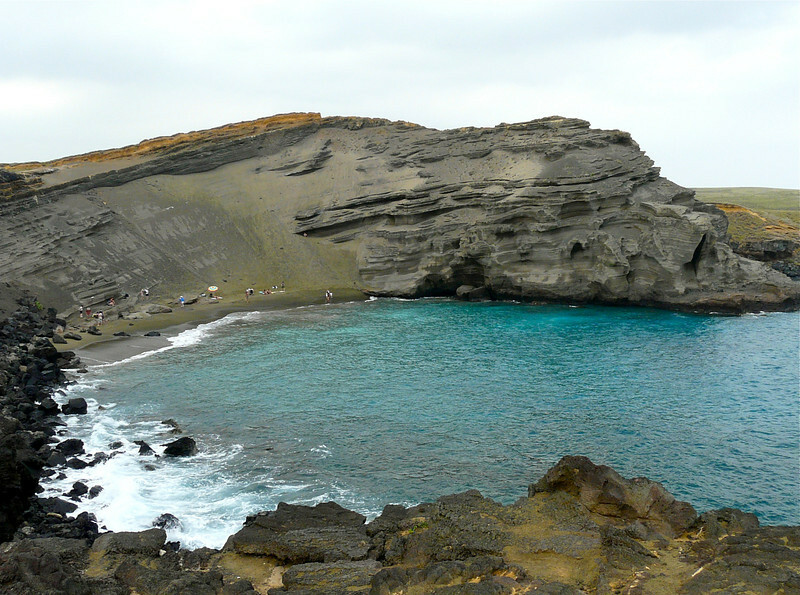 National Park Service Hawaii Park Information – A trip to Hawaii wouldn’t be complete without exploring some of its amazingly scenic natural parks and historical destinations. Eight national park sites are spread throughout Hawaii including two national parks, an historical trail, two national monuments, three historical parks and an historical site. Of course the National Park Service official website for Hawaii is the place to go for up-to-date information on hours, fees, location and travel alerts for the parks. Hawaii Wiki Travel Guide – If you’re looking for a quick overview filled with facts, figures and information covering everything you need to know about travel to Hawaii, this is your guide. Although anyone can write and edit the guide, the information is surprisingly accurate. Click the printable version link to bring the the Hawaii travel tips with you. Or save it as a pdf, storing it on your phone or in a note-taking app like Evernote. Go Visit Hawaii – Informative site with detailed information on all of Hawaii’s many charms, both known and some great off-the-beaten-path recommendations. We especially like the deals section of Go Visit Hawaii. Hawaii, the Big Island Revealed – Hawaii’s big island is big on sights, so make sure to see the best of the best with this guide chock full of helpful information, especially for going-off-the-beaten-path. Many of our Hawaiian travels have been inspired by this book, or the versions for Maui, Kauai or Oahu. However, be aware, that some of the recommendations in the book encourage you to take chances on trails that trespass on private land or have dangerous elements to them. Don’t do that! But the books still are valuable as an overall resource, introducing you to sleepy towns, hole-in-the-wall restaurants and unique places to stay. Backroads and Byways of Hawaii – if you’re planning on road tripping around Hawaii, you’ll want this Hawaii road guide that takes you to all of the spectacular sights. You do know about the gorgeous scenic drives in Hawaii, right? They make a wonderful break from all that sunning on the beach. Fodor’s Maui Guide – Of course, Maui is Hawaii’s gem of an island. To make the most of a visit to this paradise, take Fodor’s guide with you wherever you go! Hawaii Off the Beaten Path – Want to avoid all the tourists and the traps that go along with them? Use this off-the-beaten-path guide to learn about the island’s most exclusive and hidden spots! 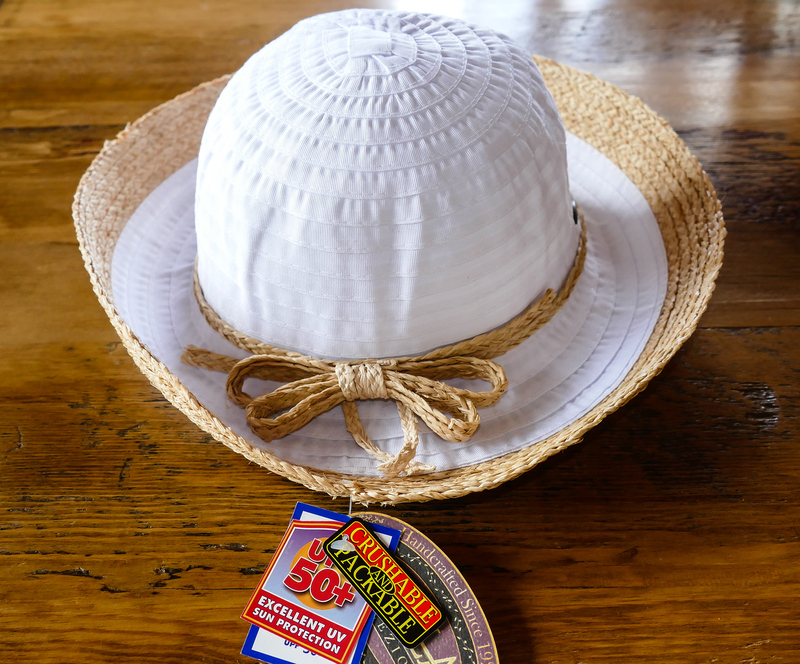 Scala makes the cutest packable hats for a trip to Hawaii. You don’t need a lot of clothes for a trip to Hawaii. Pack a carryon—The Eagle Creek Load Warrior is all you need—with beach apparel, a couple of nighttime outfits, and active wear for daytime adventures, one pair of sandals or flip flops, one pair of nicer sandals for going out to dinner (wear tennis/hiking shoes on the flight), and you’re done. Don’t forget sun protection. Pack a hat, long-sleeve SPF treated shirts to wear in the water and SPF lip balm. Purchase sunscreen once you arrive. Carry it all in the Travel Smart All Purpose Microfiber Tote Bag, for a conveniently-sized personal bag on the plane or a day bag for the beach. Durable and comfortable, this bag does double duty for the stylish adventuress! And bring an underwater camera—we use the Olympus TG-4—for taking photos on snorkeling or other water excursions. Disclosure: Affiliate links are included for your convenience, although My Itchy Travel Feet receives a small percentage of the sales at no cost to you. Other resources listed are informational and we have no affiliation with the companies.